Cartridge Filter - Anthony Pool Service - Cleaning Pool Service Pool Service, Pool Cleaning, Pool Maintenance, Pool Shop. Hayward Star-Clear cartridge filters provide crystal clear water and have extra cleaning capacity to accomodate pools and spas of all shapes and sizes. For replacement or new pool installations, Star-Clear sets the standard of excellence and value. 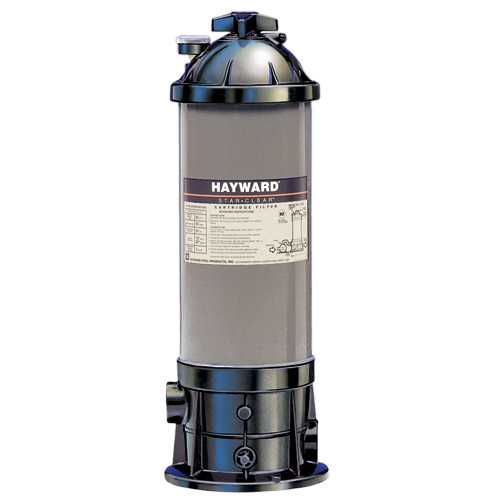 Hayward Star-Clear Plus filters offer added quality, value and convenience in cartridge filtration. With filter tanks constructed of new high strength PermaGlass XL™ material, Star-Clear Plus filters are the ideal choice for the most demanding applications and environmental conditions. Plus with a larger filtration element, Star-Clear Plus filters have a greater effective filtration area than similar sized and priced cartridge filters. 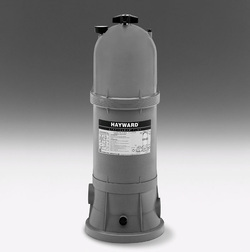 Utilising a cluster of four reusable cartridge elements, SwimClear filters offer a choice of 300 or 500 square feet of heavy duty dirt-holding capacity for extra long filter cycles, up to an entire season without cleaning. With filter tanks constructed of improved PermaGlass XL™ material, SwimClear filters will provide years of trouble free operation and crystal clear, sparkling water.